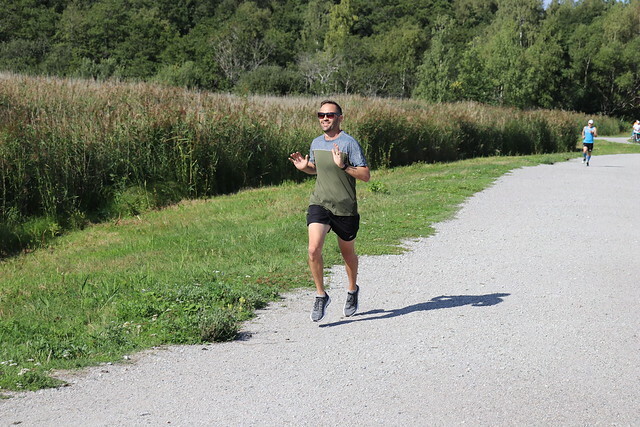 When travel loving South Africans Kayley and Mark arrived in Sweden as part of a working trip around the world, there was one thing that they knew they couldn’t do without – parkrun! 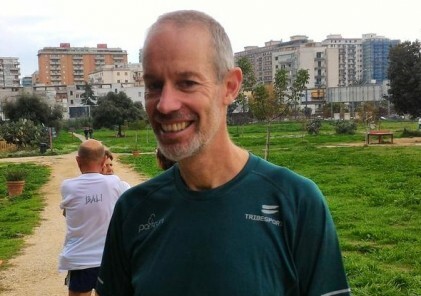 Here below they explain a little bit of their philosophy of what they look out for when they arrive in a new location and why everyone should come along to Örebro parkrun! Running is one of my favourite ways to explore any new place we travel to. It is an easy way for me to get my bearings in a city, town or area. More often than not I do it early in the morning so there are no crowds or traffic to deal with. It’s a great way to get nice photos of tourist attractions and of course its good exercise! Which is especially good when you spend your days sampling the local delicacies and brews, another of my favourite things to do. I also use these excursions to scout potential fishing spots before I head out to them with all my gear. Whenever we plan to go somewhere new I pour over Google maps for a few hours to see if there are any trails to run and any bodies of water to fish. The next thing I do is check the days of the week we will be there. The reason for this is of course is parkrun! So for me moving to Örebro was a no-brainer. A beautiful Swedish town with a river running through the heart of it, bordering a huge lake and Örebro parkrun every Saturday. Smiles all round. 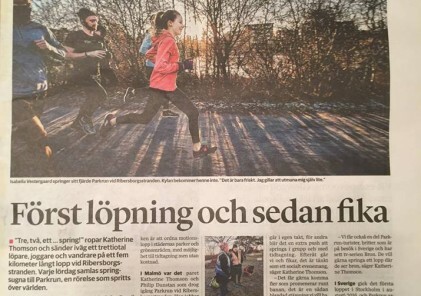 Örebro parkrun is set on the outskirts of the city, a ten minute cycle from the center of town. It starts on the bank of the Svartån river which runs through Örebro and drains into lake Hjälmaren. The course winds though the forest for its first kilometre. After crossing a boardwalk and a few small waterways a spectacular view of the lake is revealed. You then follow a spur of land, that feels like you’re running into the lake itself, before turning back to shore for the second half of the run. This takes you along some more trail through scrubland and back though the small forest to once more cross the boardwalk and get back to the finish. 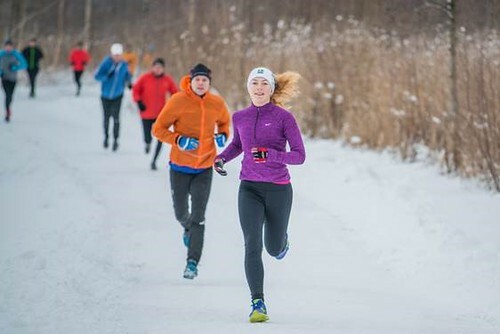 Örebro parkrun happens regardless of the weather and has seen very few cancellations since its inception in April 2017. If you stay long enough you can watch it transform through the seasons from a summer paradise to a winter wonderland. The trails are well maintained and always checked the morning of the event to ensure they are in good condition. The other great thing about parkrun in Örebro (and Sweden in general for that matter) is being able to ‘fika’ when you’re done. The start and finish is conveniently located right next to the Naturenshus coffee shop. Here you can enjoy a bottomless coffee for 25kr and a sweet or savoury bite to eat. It is also a great way to meet some of the participants and volunteers if you were too breathless to chat to them out on the course. A crucial part of parkrun is volunteers. These are people who not only help out on a Saturday morning to run the event but also spend time during the week planning and ensuring everything will run smoothly on Saturday morning. The group at Örebro are super friendly and helpful and have made my wife and I feel very welcome in our new home town. If you enjoy taking part in parkruns, volunteering is a good way to experience different parts of the parkrun community. You can read more about Kayley and Mark’s amazing travels and adventures on their blog.